Toni Morrison, “On the Backs of Blacks”, Time, Fall 1993. (1 page PDF*: Morrison-On-the-Backs-of-Blacks). (bio). James Baldwin, “On Being White and Other Lies” from Black on White: Black Writers On What It Means to Be White. 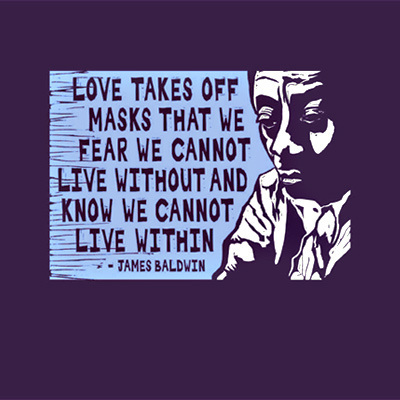 (5 page PDF: Baldwin On Being White). (bio). Mab Segrest, “On Being White and Other Lies: A History of Racism in the United States” from Memoirs of a Race Traitor. (25 page PDF: Segrest On Being White and Other Lies). (bio). Mickey Ellinger, “Melting Pot”. (1 page PDF: Ellinger Melting Pot). (bio). Roxanne Dunbar-Ortiz, “Patrimony” from Red Dirt: Growing Up Okie. (4 page PDF*: Dunbar-Ortiz Patrimony). (bio). Juliet Ucelli, “Italian Americans Say Basta to Columbus” from Forward Motion: Exposing Columbus: Taking the Glory out of Racism and Genocide. (4 page PDF: Ucelli Italian Americans Say Basta). (bio). Karen Brodkin Sacks, “How Did Jews Become White?” from Race (Gregory and Sanjek, eds). (12 page PDF: Brodkin Sacks How Did Jews Become White). (bio). Melanie Kaye/Kantrowitz, “Jews in the U.S.: The Rising Costs of Whiteness” from Becky Thompson and Sangeeta Tyagi, eds., Names We Call Home: Autobiography on Racial Identity. (9 page PDF: KayeKantrowitz Jews in US the Rising Costs). (bio). Becky Thompson, “Time Traveling and Border Crossing: Reflections on White Identity” from Becky Thompson and Sangeeta Tyagi, eds., Names We Call Home: Autobiography on Racial Identity. (10 page PDF: Thompson Time Traveling and Border Crossing). (bio). Roxanne Dunbar-Ortiz is a longtime activist, university professor, and writer. In addition to numerous scholarly books and articles she has published a trilogy of historical memoirs, Red Dirt: Growing Up Okie, Outlaw Woman: A Memoir of the War Years, 1960–1975, and Blood on the Border: a Memoir of the Contra War. Roxanne Dunbar-Ortiz grew up in rural Oklahoma, daughter of a landless farmer and half-Indian mother. Her paternal grandfather, a white settler, farmer, and veterinarian, was a labor activist and Socialist in Oklahoma with the Industrial Workers of the World in the first two decades of the twentieth century. The stories of her grandfather inspired her to lifelong social justice activism. She was a leading member of the Women’s Liberation and anti-war movements of the 1960s and 1970s. She worked with the American Indian Movement and continues to struggle for indigenous self-determination and land. More at www.reddirtsite.com. Two Mickeys. Credit: Mickey Ellinger. Mickey Ellinger, the oldest daughter of nine, grew up in an Irish Catholic family in Texas. Her parents were working class anti-racist labor organizers and in the 1940’s they worked with the International Ladies Garment Workers Union. Her parents were members of the NAACP and during an effort to register Black voters her father was beaten by white racists. At fourteen she was involved in a campaign to racially integrate her high school. In 1955, Emmett Till’s body was found and his mutilated fourteen year-old face was on the front page around the country; in 1959 Ellinger took part in a campaign in Texas to desegregate the local movie theatre, the Varsity. Mickey moved to Berkeley, joined the Friends of SNCC chapter and took part in the Free Speech Movement. She participated in the Bay Area Civil Rights movement led by CORE (Congress On Racial Equality) that targeted businesses to win jobs for Black people. Her political development was further influenced by the war in Vietnam and the anti-war movement, the Black Nationalism of Malcolm X and SNCC’s demand for Black Power. Through the 1970s until the early 1990s, Mickey was a member and leader in the Prairie Fire Organizing Committee. She was an organizer with the John Brown Anti-Klan Committee and worked with Anti-Racist Action to kick neo-Nazis out of the San Francisco Bay Area. She co-founded the Challenging White Supremacy Workshop with Sharon Martinas in 1993. She is a member of the steering committee of the Bay Area chapter of the National Writers Union. 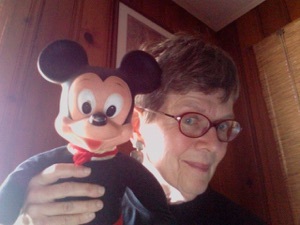 Melanie Kaye/Kantrowitz is a writer and poet, activist, scholar and teacher. A pioneer in women’s studies, she taught the first such course at the University of California at Berkeley in Comparative Literature, where she earned her PhD. Since then she has taught all over the U.S., in fields as diverse as Jewish Studies, Women’s Studies, Urban Studies, Race Theory, Public Policy, Gender and Queer Studies. For five years she directed the Queens College/CUNY Worker Education Extension Center in Manhattan. She currently teaches at Queens College in Jewish Studies, History and Comparative Literature, and recently taught in the Bard College Prison Initiative. Born and raised in Brooklyn, a graduate of City College/CUNY, Melanie worked in the Harlem Civil Rights Movement as a teenager, and continues to be active in progressive movements, anti-war, lgbt, feminism, anti-racism, and labor. She gave up a tenured teaching position to return to New York to work against racism in the Jewish community. 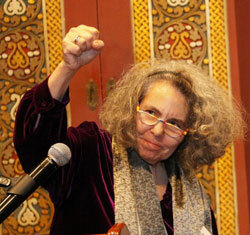 She was the founding director of Jews for Racial and Economic Justice (JFREJ), for which she, along with her comrade Esther Kaplan were honored with a Union Square Award in 2005. Melanie’s work is widely published and anthologized in the feminist, gay and lesbian, and progressive Jewish press. She co-founded the JFREJ radio program at WBAI (99.5 FM), Beyond the Pale. Toni Morrison speaking at A Tribute to Chinua Achebe 2008. Photo: Enthete. Toni Morrison taught at Texas Southern University, Howard University, State University of New York at Albany and at Princeton. Her students at Howard included Stokely Carmichael (of the Student Nonviolent Coordinating Committee, SNCC) and Claude Brown (author of Manchild in the Promised Land, 1965). She married Harold Morrison in 1958, and divorced him in 1964, moving with their two sons to Lorain, Ohio, and then to New York where she went to work as a senior editor at Random House … Her first novel was published in 1970, The Bluest Eye. Teaching at the State University of New York at Purchase in 1971 and 1972, she wrote her second novel, Sula, published in 1973. Toni Morrison taught at Yale in 1976 and 1977 while working on her next novel, Song of Solomon, published in 1977 … Tar Baby was published in 1981 … Toni Morrison’s play, Dreaming Emmett, based on the lynching of Emmett Till, premiered in Albany in 1986. Her novel Beloved was published in 1987, and won the fiction Pulitzer Prize. In 1987, Toni Morrison was appointed to a chair at Princeton University, the first African American woman writer to hold a named chair at any of the Ivy League universities. 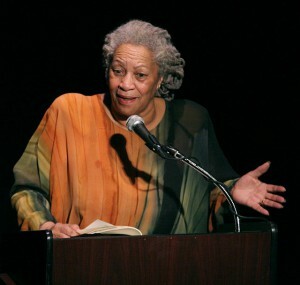 Toni Morrison published Jazz in 1992 and was awarded the Nobel Prize for Literature in 1993. Paradise was published in 1998 and Love in 2003 … After 1999, Toni Morrison also published a number of children’s books with her son, Slade Morrison, and from 1992, lyrics for music by Andre Previn and Richard Danielpour. Karen Brodkin Sacks teaches Anthropology and Women’s Studies at the University of California at Los Angeles, where she has directed the Women’s Studies Program. A longtime activist and feminist, she is a member of Common Threads, a Los Angeles-based group supporting garment worker unionization. Sacks writes about and researches the issues of women and social change. She is the author of Caring by the Hour, a study of hospital worker organizing in North Carolina; Sisters and Wives, on women in African history; and My Troubles Are Going to Have Trouble With Me (co-edited with Dorothy Reny), a collection of case studies about women and work. Race, Class, Gender and the Jewish Question is her most recent book. 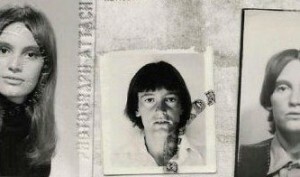 Mab Segrest was born in Alabama in 1949. “In the 1970s, Segrest moved to North Carolina to attend Duke, where she earned her PhD in English literature. Until it disbanded in 1983, Segrest worked in the feminist writing collective Feminary working to produce the journal of the same name. Feminary was a Southern feminist journal that had a Southern focus and was anti-sexist, anti-racist, anti-homophobic, and anti-capitalist … Her writing during this period was published as the book My Mama’s Dead Squirrel: Lesbian Essays on Southern Culture. She left the academy … to work full-time in social movements for the next decade. She helped to found North Carolinians Against Racist and Religious Violence and worked in that organization from 1983 to 1990 to rally citizens of the state against virulent neo-Nazi and Ku Klux Klan activity and an epidemic of hate violence. Segrest’s 1995 book, Memoir of a Race Traitor, narrates this experience. Segrest worked for the World Council of Churches as Coordinator of the US Contact Group of the WCC’s Urban-Rural Mission from 1992 to 2000. Segrest’s third book, Born to Belonging: Writings on Spirit and Justice, was published in 2002. In it she uses travel memoirs in a search for alternatives to the apartheid of her Southern childhood, negotiating history, philosophy, theology, autobiography and reporting … As of 2013 she is chair of the Gender and Women’s Studies Department at Connecticut College.” More at SpeakOut. Becky W. Thompson is an assistant professor of sociology at the Center for Research on Women at the University of Memphis and coedited, with Sangeeta Tyagi, Beyond a Dream Deferred: Multicultural Education and the Politics of Excellence. Thompson and Tyagi also co-edited the anthology Names We Call Home: Autobiography on Racial Identity. She is the author of A Promise and a Way of Life: White Antiracist Activism and Mothering without a Compass: White Mother’s Love, Black Son’s Courage. Juliet Ucelli is an Italian American public education activist and a member of the National Executive Committee of the Freedom Road Socialist Organization.